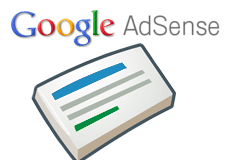 Google announced you can now block AdSense ads within the Google Publisher Toolbar but warns that you should not block ads simply because you think you will earn more money doing so. Please be assured that clicking the ad overlays generated by the toolbar is permitted, and won’t generate any invalid clicks. Also, keep in mind that blocking any ad will lower your potential earnings, as it reduces competition for your ad space by removing advertiser bids from the auction. It’s a myth that filtering ads can prevent ‘low-paying ads’ from appearing, so as always, we recommend blocking only those ads that you feel are unsuitable for your users. Google has told us before that blocking types of ads do not help you earn more. But publishers have been blocking ads since the feature came out as a way to try to earn money from better earning ads. A WebmasterWorld thread has publishers that simply do not believe Google that this method doesn't work when trying to earn more money. MartniBuster, an old time AdSense publisher responded, "What the heck?" Another senior member said, "If my site was flooded with one of those fat belly adverts, no-one will click on it. By removing it allows other adverts to appear, and more likely to be clicked on."